Aditya Balapure is an Information Security Specialist, Author, Speaker who is passionate about the continuously changing threat landscape of the cyber world. 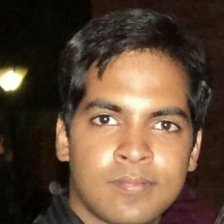 He is currently a Team Lead, Information Security at Grubhub Inc. A builder, breaker and cyber defender at heart Aditya likes to evangelize Information Security. With multiple years of experience in all forms of security, some of his core interests are in the field of Application & Cloud Security, Cryptography and Malware Research. You can reach him on twitter @adityabalapure.